Free Shipping! See the video below. 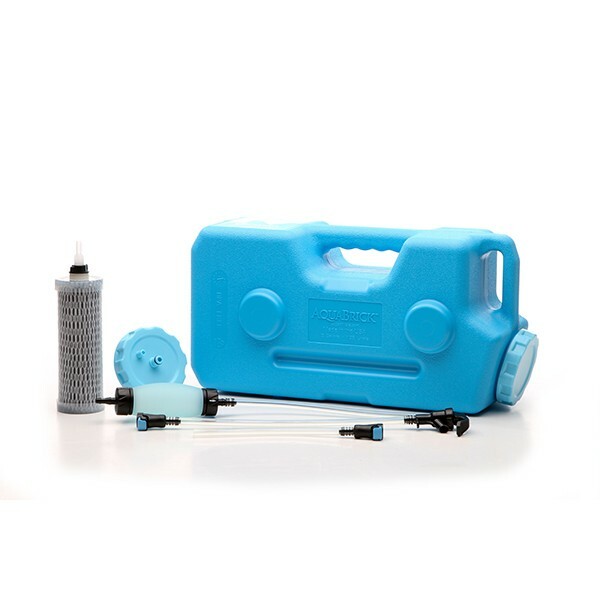 The AquaBrick™ Water Filtration System will deliver safe drinking water within minutes removing harmful bacteria, virus, cysts, such as cryptosporidium and giardia. Filters .5 gallons per minute. Kit includes: 1 AquaBrick™ Container, 1 DuraFlo™ Water Filter (treats up to 700 gallons), 1 hand pump, 1 spigot, tubing. The DuraFlo™ water filter used in the AquaBrick™ Water Filtration System has been tested and certified by indepenent water laboratories to establish the filter's "end of life" for the removal of virus, bacteria, giardia you and your children should not be drinking. Using our proprietary filtration method the filter safely purifies 550 gallons of contaminated water for the removal of virus; and 700 gallons of contaminated water for the removal of bacteria, giardia and other toxins. It also will purify 500 gallons of swimming pool water(not salt water pools). 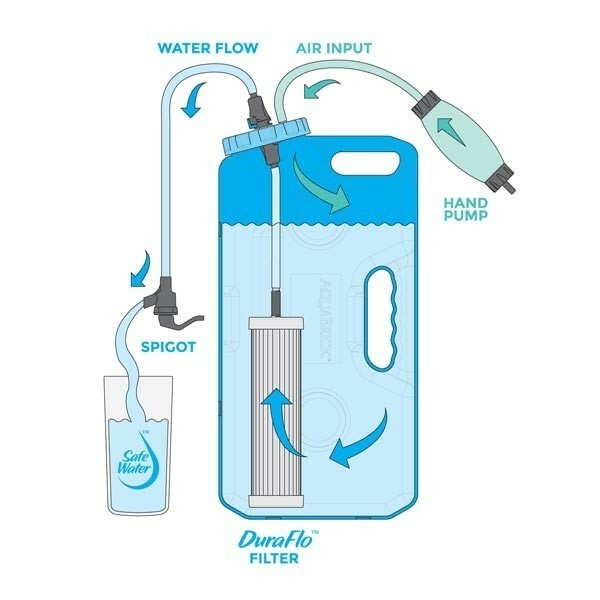 Simply fill the AquaBrick™ with water, insert the DuraFlo™ water filter into the AquaBrick™. Use the hand pump to pressurize the brick, and safe purified water will quickly dispense from the spigot. Removes bacteria, virus and giardia using nanofiber technology. 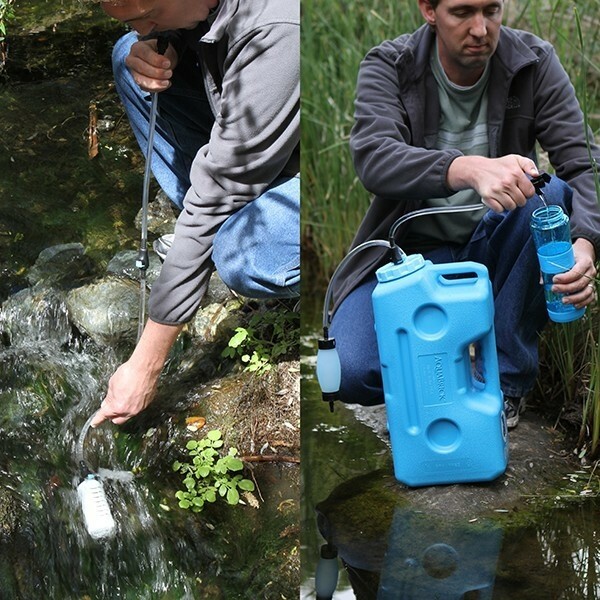 The AquaBrick™ Water Filtration System will safely purify 550 gallons of water from virus; and 700 gallons of water from bacteria, giardia. Removes 99.9999% of Bacteria, 99.99% of Virus, and 99.99% Giardia/Cryptosporidium. 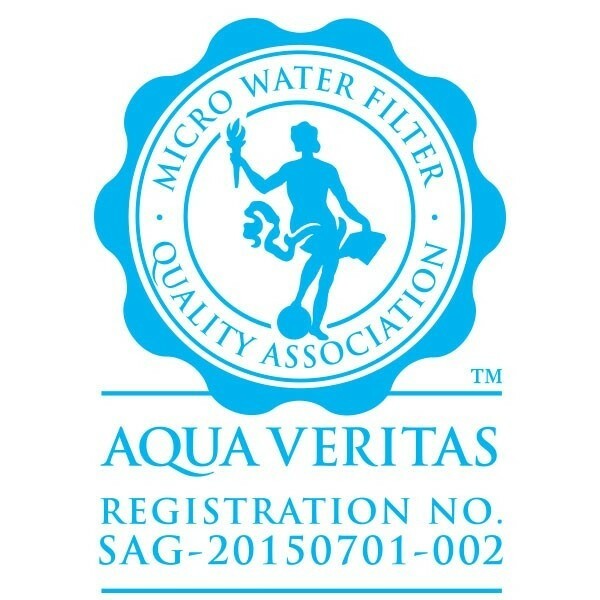 Certified with Aqua Veritas - the Micro Water Filter Quality Association. The AquaBrick™ is the newest innovative product from Sagan Filters. The multi use container holds 3 gallons of water for water storage and 20 lbs of food as an efficient food storage container. Containers are stackable in a variety of configurations so they easily fit into any area. Easy to pour and will empty out completely. Easy to carry, clean and use. Water tight and has useful strap down grooves on the sides.